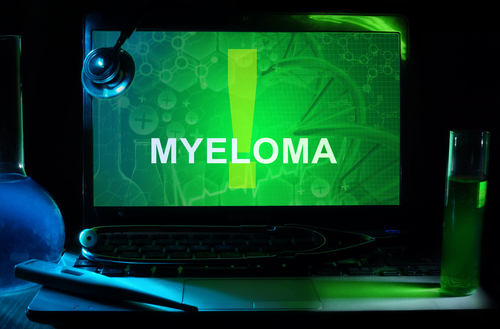 A subunit of a signaling protein may be a new therapeutic target in multiple myeloma (MM), a hematologic malignancy with high relapse rates and resulting drug resistance in patients, according to researchers at the Tokyo Women’s Medical University. The study, “Histone deacetylase inhibitor panobinostat induces calcineurin degradation in multiple myeloma,” published in JCI Insight, could lead to new treatments for MM patients no longer responding to conventional therapies. MM, a form of blood cancer where unusual plasma cells concentrate in the bone marrow, is known to be susceptible to relapses. Patients often build a resistance to chemotherapeutic drugs like bortezomib, a proteasome inhibitor designed to disrupt the process of breaking down proteins responsible for fighting and killing cancer cells. The combination of bortezomib and panobinostat has also been approved by the U.S. Food and Drug Administration (FDA) as an MM treatment, and is more efficient than bortezomib alone. 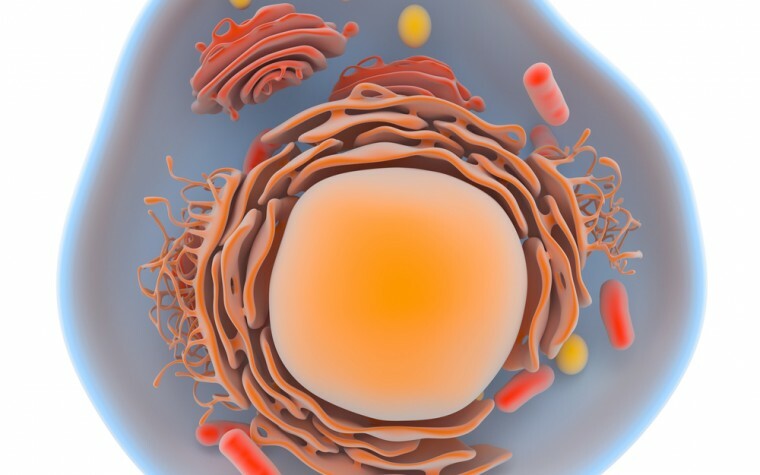 A combination of proteasome and histone deacetylase enzymes (HDAC) inhibitors is believed to be able to block the process that leads to the aggregation of misfolded proteins in cells called aggresomes, preventing malignant cells from proliferating. But the pathogenetic molecules to target in MM cells were unknown. The investigators, for this reason, explored molecules that could promote the progression of MM, to target them with a combination therapy based on proteasome and HDAC inhibitors. 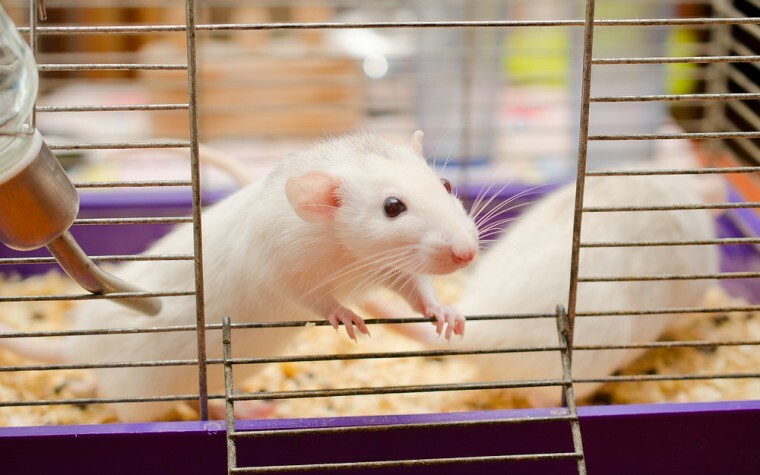 Researchers performed a series of experiments on a mouse model, and found that a protein called calcineurin is responsible for activating immune cells required in the proliferation process of multiple myeloma cells. They suggested that the inhibition of calcineurin with an immunosuppressant called FK506 would stimulate MM cell death. Results showed that treating the MM mice with a panobinostat and FK506 combination decreased the proliferation of MM cells through the inhibition of the catalytic subunit of calcineurin, called PPP3CA, found at elevated levels in people with advanced MM. “These findings indicate that PPP3CA and calcineurin may be suitable therapeutic targets for the treatment of MM,” the authors wrote. Should this preliminary research prove to be viable, the newly discovered therapeutic target may open up opportunities for treating patients whose disease is refractory to current MM therapies. “The development of new calcineurin-targeted therapies, which inhibit PPP3CA–NF-κB signaling by small molecules, is expected to profoundly improve the treatment of MM. This will overcome drug resistance and improve osteolytic lesions in a wide range of patients, including those receiving RIST who may be treated with panobinostat and FK506,” the researchers concluded. Tagged blood cancer, calcineurin, cancer therapy, FK506, histone deacetylase enzymes, panobinostat, PPP3CA, proteasome inhibitors, ruxolitinib.